Desiree’s creative journey started as a young girl when she’d spend hours drawing the world around her. Through child’s eyes she found it easy to replicate her surroundings using paint, pencil and clay. 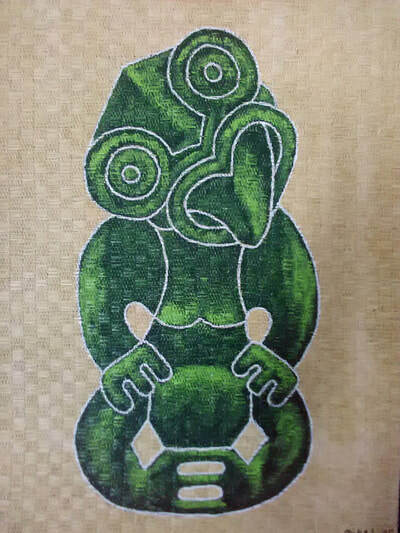 During her teens her creative juices veered to needle point and crochet, submitting her first work at age 15 to be displayed with the Embroiders Guild in Christchurch. Throughout her 20’s Desiree honed her creative juices in the kitchen, taking cooking and creativity to a new level. She was extremely happy doing this and didn’t return to painting and drawing until her early 30’s. In 2008, after working in a corporate administration role for eight years Desiree made the decision to follow her true passion – art. At that stage she was already being commissioned to supply portraits to her workmates so it felt like the next natural step. She became a full-time extramural student studying with the Learning Connexion for 4 years. During Desiree’s second year of study she created the Oranga Community Art Group at the Oranga Community Centre, which she coordinated for 4 years, where people of all abilities were able to take part in a structured class or work on their own projects in a supportive environment. A year later she became one of the two resident artists at the Onehunga Community Centre, facilitating community projects, creating artworks for the centre and teaching art classes. Desiree has been a contractor to Auckland City Council for 10 years and even though she has left the area she returns twice a year to curate exhibitions held in the Onehunga Community Centre. In 2014, Desiree took the plunge to leave the rat-race of Auckland to become a full-time artist. She now resides on a dairy farm near Wellsford where she can create art full time. Desiree prides herself in exhibiting her work throughout Auckland and Rodney Districts, submitting her works annually into a diverse range of exhibitions including the Royal Easter Show, The Franklin Art Festival, The Rodney Art Awards, The (Sir) Edmond Hillary Art Showcase and The Orakei School Art Exhibition. 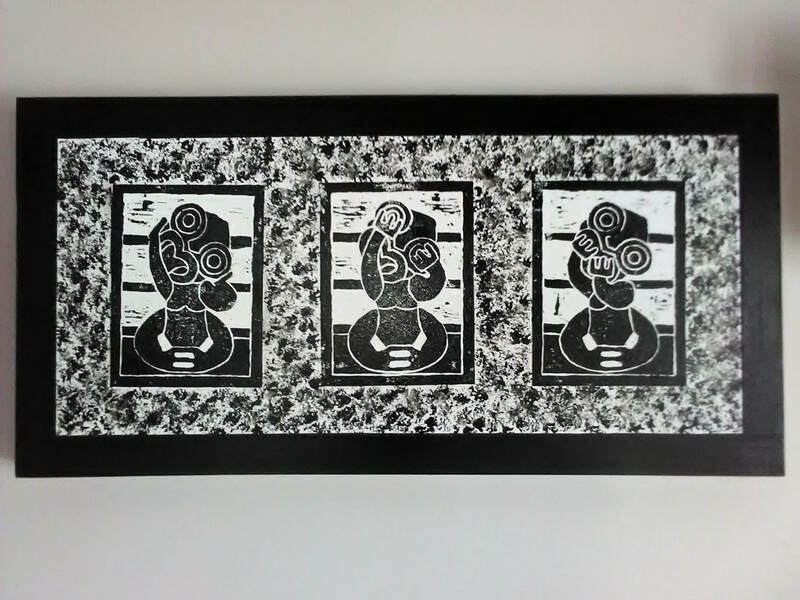 Desiree’s artwork reflects the multi-cultural layers of her own heritage. 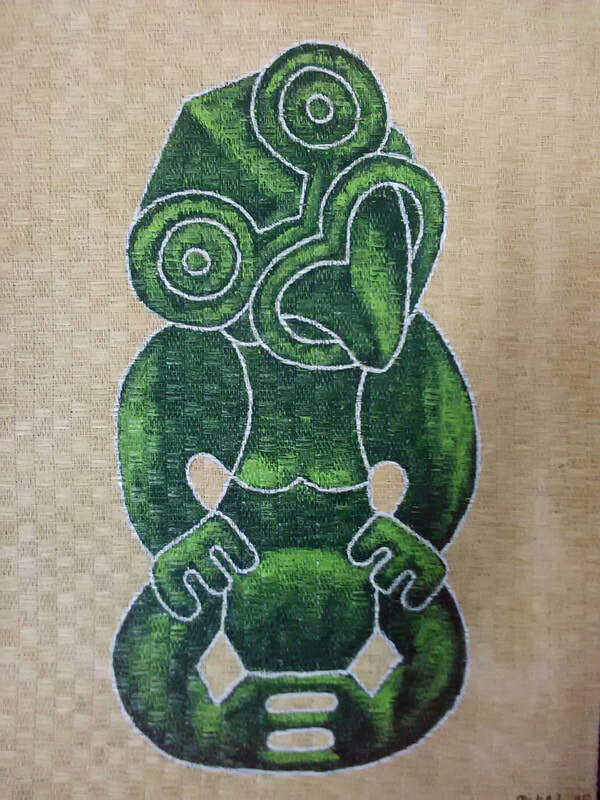 She often creates Maori designs painted on a lace background or on woven fibres that cover the canvas. 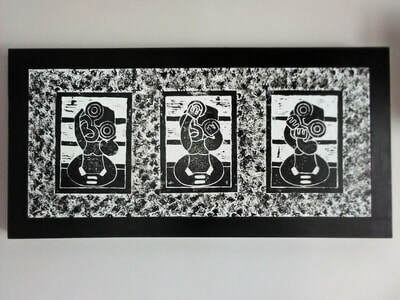 She also enjoys creating Kiwiana works using lino printing techniques. She is currently focusing on building a body of work as she is holding her first solo art exhibition this year at Mangawhai Artists Gallery, opening on 21 March.